During the early 1900s, one of the most valuable necklaces on the planet was a strand of 61 pink pearls worth $18 million. At the time, it was worth even more than the Hope Diamond. London-based jewelry trader Max Mayer purchased the pearls in hopes of selling them at auction for a profit. 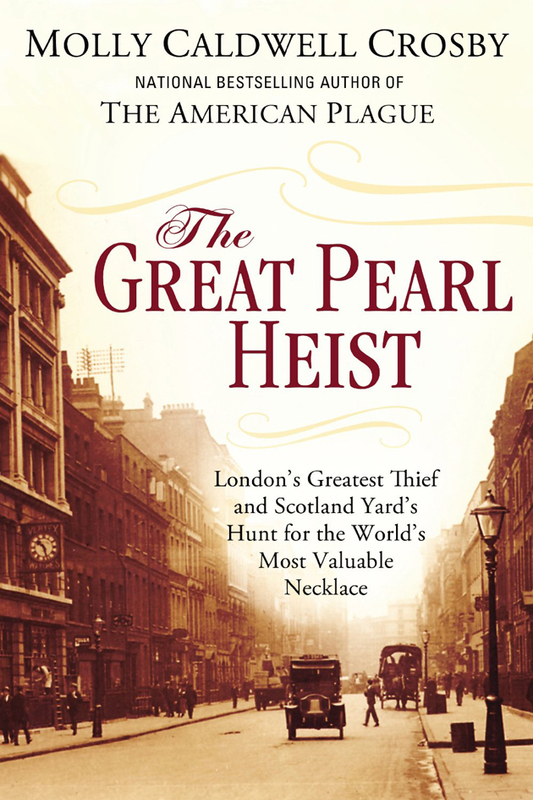 While in transit from Paris to Mayer’s office in London, the pearls vanished without a trace, becoming one of the most sensational thefts in the East End of London. Bestselling author Molly Caldwell Crosby serves up a narrative with more twists, turns and fascinating characters than are found even in the best of novels. The story centers around two brilliant minds on opposite sides of the law, namely Inspector Alfred Ward of Scotland Yard and Joseph Grizzard, the charming and brilliant leader of a gang of thieves in London. The Mayer Pearls proved too much of a temptation for Grizzard, who planned it as his last heist. The pink pearls would provide financial security and establish him as London’s greatest thief. The similarities of the two men are especially intriguing. For example, Ward and Grizzard grew up in the same rough London neighborhood, and both were as brilliant as they were determined. If it had not been for the tenacious investigator from Scotland Yard, it is likely that Grizzard would have gotten away with his crime. Crosby has sifted through numerous archives to fully document this little-known event that pitted two men: one who carried out an almost flawless crime, and the other focused on finding the almost priceless necklace and arresting the thief who took it. If you like true crime books, put “The Great Pearl Heist” at the top of your reading list.